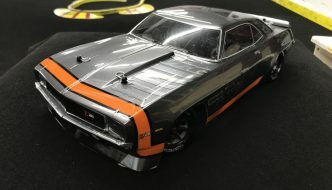 After my son badgered me to bring down my old HPI RS4, I caught the bug… again. So we went to the local track to find out what classes they run so I could get my car prepped. While cul-de-sac crashing is fun, I find competition is a better measuring stick to live by. The track manager told me that any spec class car would cost $1000 to build. Yes, 1000 USD, as in $1k. I was stupefied. Well, it turns out that I’m not the only one complaining. There used to be limits on how much the “stock” spec motors cost. Don’t get me wrong, you can always pour however much you want into any hobby, but it used to be that getting in initially should be very affordable. Otherwise who is this catering to? And why aren’t people surprised when a class of racing “dies” due to lack of interest? It was very popular initially. Then the whole issues with timing in speed controls happened and everyone was scrambling to have the fastest speed control every week. It basically killed our track. We literally went from 20-30 guys coming up to race here in Chico, to pretty much nothing. That sounds terrible. Racing should be more about driver skill and less about an equipment arms race. I’m glad I was able to skip over this period and came back when racing specifies “no timing” now known as “blinky mode” (a LED blinking on the speed controller indicating that dynamic motor timing has been disabled). A $1000 car sounds like an arms race to me. Spec racing classes can try to rein this in, but anytime there are rules, there are rule-breakers. This happens in 1:1 scale racing as well, to the point where the 6 top spec Miata drivers were disqualified and the 7th place guy wound up getting the trophy. I’m setting out to get back into racing at half the cost, with a focus on driver improvement. $500 is still steep, and what I come up with may be totally inadequate for competition – but I get the feeling that my own ability will be the major limiting factor. Mostly I want to know if it’s as fun as I remember.